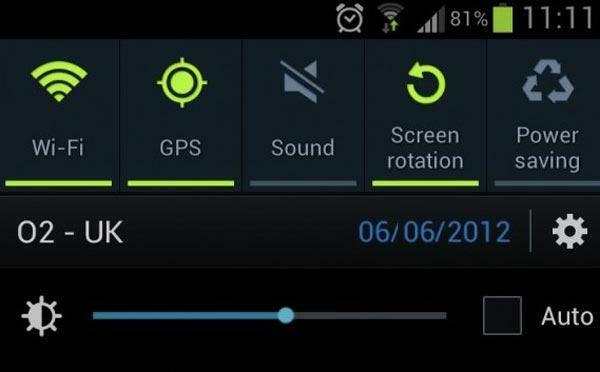 , still more practical to eliminate the automatic brightness of the settings. As you can see in the screenshot, the new slider for brightness is extremely practical without interfering with the position or use of other connectors or notices, varying the intensity of the backlight LED with the gesture of moving only one side or other selector bar. This firmware update for the Samsung Galaxy S3 is being released today in Europe, gradually reaching the terminals in the form of OTA or with optional upgradeable KIES . In addition, you can download it from SamFirmware to install it directly by Odin , serving any ROM of European territory.